So you’ve just had a baby and you’re feeling a bit over your head. Between baby food and diapers, car seats doctor’s appointments and very small clothing the money seems to be flowing out the door. This is definitely time to review your budget and there is one more thing you need to add: college savings. “College savings? My baby was just born!” you say. “How can I possibly be thinking that far ahead?” Because saving now, even though it might seem impossible at first, will cost you so very much less than borrowing later. I’d like to show you just how possible it is and how much you’re going to actually SAVE by starting to plan now for your child’s education. The College Board, which annually collects nation-wide college tuition and financial aid information, stated in its “Trends in Financial Aid” that the median debt that bachelor degree recipients graduated with last year was $20,000. Only 38% of bachelor degree recipients from public four-year schools graduated with NO debt. An even scarier statistic is that only 4% of bachelor degree recipients graduated from for-profit schools with NO debt. If this makes you think that taking out a loan for college is just part of the way the game is played, think again. That debt costs a lot of money, and there is no need to give your hard-earned money to someone else when you can keep it to yourself. Let’s say that your neighbor takes out a college loan for the median amount shown above of $20,000. Interest rates can vary anywhere from below 3% to as high as over 10%, depending on your credit history, the school you choose and who is taking out and co-signing the loan. In addition, your neighbor can choose to begin paying back the loan while his child is still in school, or possibly take advantage of a deferred payment plan which allows a student to wait an additional six months past graduation to begin payments. Sound confusing? That’s the first problem. Not everyone realizes that a deferred payment plan still means that interest is accruing and must be paid as part of the full loan payment after graduation (making your final loan payoff even greater). The second problem, simply, is what this will cost your neighbor. Assuming your neighbor got a loan rate of 5% and began making interest payments while his child was in school, to save some money. This $20,000 loan will end up costing him nearly $27,000. At 10%, it would cost over $35,000! Do you want to know how easy it is to save that $20,000 for your child’s education? Start the day your baby is born and put away $65 a month, every month until they are 18. Can you do that? I certainly think so. Sixty-five dollars per month is all it takes to save not only the $20,000 that you won’t have to borrow, but you’ll also never have to pay the additional $7,000 to $15,000 in interest payments to the bank! But wait – there’s more! When you make a concerted effort to save for college, the government helps you, making saving that much easier. 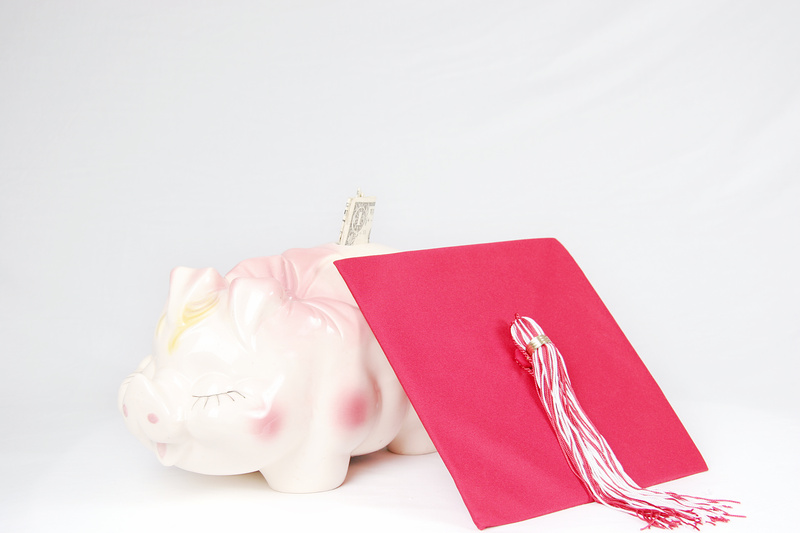 The IRS code provides for a program called a 529 Plan. This program allows your investments to grow tax-free (reducing your federal taxes) as long as they are used to pay qualified education expenses (now you’ve saved money twice). And, some states even allow you to deduct any contributions you make to a 529 plan, further reducing your state taxes (now, you’ve saved three times while saving for college!). Saving to pay yourself really is better than paying out all of that interest to someone else. Take a few moments right now to check out your budget and determine how much money you can devote to your child’s education today! 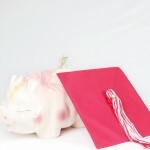 About the Author: NEED MORE INFORMATION on 529 Plans or Saving for College? Can’t get enough One Minute Money Lessons? OMML are brought to you by Beth D’Andrea, Financial Planner, LLC, who provides all these answers and more in the new book, “20 Questions on Personal Financial Planning.” Find it and more One Minute Money Lessons at YourWealthInHand.com, today.